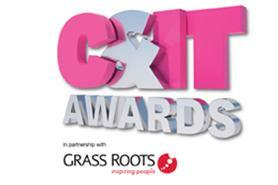 Check out the latest video on C&IT TV to get a sneak preview of what to expect at the inaugural C&IT Excellence Awards, to be held at The Natural History Museum on 4 November. The event will be a glamorous black-tie celebration of excellence in the events industry, with 19 awards categories including Incentive Programe of the Year, Automotive Event of the Year, C&I Technology Innovation Award, and a Grand Prix Award. Events for top brands including BMW, Santander, Volvo, RSA, Barcardi and AstraZeneca are among those to have made the shortlist for the awards, which is shaping up to be an exciting evening. Watch the video clip to find out more and make sure you book your place to join the movers and the shakers of the industry.